As most know, I love a good internal memo from inside Yahoo and here’s a doozy related to a rather controversial topic of late: How badly the new version of Yahoo Mail has been received by consumers. As has been widely reported, a relentless and vocal group of Yahoo Mail users have been complaining vociferously after the Silicon Valley Internet giant drastically revamped its popular Mail service in October. The ire includes a lot of distress over the removal of its tabs function and the addition of a multi-tasking feature in its place. Although change is hard for many, I get buttonholed almost everywhere I go by users — including some prominent techies — who complain about the new version. Apparently, some Yahoo employees agree, too, with only 25 percent of them heeding management pleas to move over from their longtime corporate email — Microsoft Outlook — to the new Yahoo Mail product. It’s not clear why this is, but from an internal memo I obtained — memos are now raining down on me, which is an interesting sign of, well, something — some inside said it was because of its meeting functionality. That sounds right, since Yahoos (and all over Internet companies) love to meet! The rest is a corker of a memo, with the execs letting loose with all kinds of very funny literary and historical references you will need to Google — oops, according to him, you will need to Yahoo. For others, you might now be running in your head to a well worn path of justified resistance, phoning up the ol’ gang, circling the hippocampian wagons of amygdalian resistance. Hold on a sec, pilgrim. I have no idea what this means and can’t even figure it out via Google or Yahoo — but I like it! First, it doesn’t feel like we are asking you to abandon some glorious place of communications nirvana. At this point in your life, Outlook may be familiar, which we can often confuse with productive or well designed. Certainly, we can admire the application for its survival, an anachronism of the now defunct 90s PC era, a pre-web program written at a time when NT Server terrorized the data center landscape with the confidence of a T-Rex born to yuppie dinosaur parents who fully bought into the illusion of their son’s utter uniqueness because the big-mouthed, tiny-armed monster infant could mimic the gestures of The Itsy-Bitsy Pterodactyl. There was a similar outcry when we moved away from Outlook’s suite-mates in the Microsoft Office dreadnaught. But whether it’s familiarity, laziness or simple stubbornness dressed in a cloak of Ayn Randian Objectivism, the time has come to move on, commrade [sic … go deep in this pun, it is layered]. Yuppie dinosaur parents? Microsoft Office dreadnaught? The last one, I can only grok via vague memories from reading “Atlas Shrugged” in college. But I like it anyway! All due respect to Roumillat, this sounds like the stylings of Bonforte, who sources said has been colorfully addressing the troops on the Yahoo Mail controversies at recent all-hands meetings. Yahoo has not responded to several emails on the memo, which I like anyway! For some reading this email, you are saying, “Jeff, shut up, you had me at hello.” *hug* Jump over to yo/dogfood, click “Corp Mail/Cal/ Messenger” and you are ready to join our brave new world at yo/corpmail or https://mail.yahoo-inc.com. First, it doesn’t feel like we are asking you to abandon some glorious place of communications nirvana. At this point in your life, Outlook may be familiar, which we can often confuse with productive or well designed. Certainly, we can admire the application for its survival, an anachronism of the now defunct 90s PC era, a pre-web program written at a time when NT Server terrorized the data center landscape with the confidence of a T-Rex born to yuppie dinosaur parents who fully bought into the illusion of their son’s utter uniqueness because the big-mouthed, tiny-armed monster infant could mimic the gestures of The Itsy-Bitsy Pterodactyl. There was a similar outcry when we moved away from Outlook’s suite-mates in the Microsoft Office dreadnaught. But whether it’s familiarity, laziness or simple stubbornness dressed in a cloak of Ayn Randian Objectivism, the time has come to move on, commrade [sic…go deep in this pun, it is layered]. Using corp mail from the Y Mail web interface is remarkably feature rich. It supports booking conference rooms, folders, calendar, filters and global address book. Plus, you get built-in Messenger, smart conversation threading, powerful keyboard shortcuts, the new quick actions, attachment preview and our beautiful new rich themes. In the rare case you do need Outlook, like adding a delegate for your calendar, you can still fire up Outlook for 30 seconds. Feeling that little tingle? Take a deep breath, you can do this. We want you on board, sailor! Please note, on the mobile side, corp mail is not yet supported in our Mail app for Android or iOS, but that will change (PB&J!). 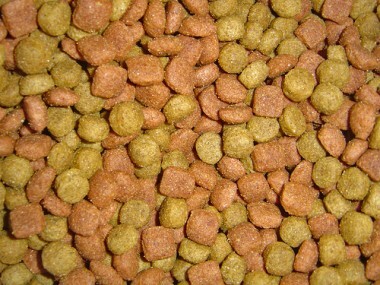 And, like all dogfood offerings, there is a feedback link in the product. Use it generously so we can make the improvements to make Yahoo Mail the unquestioned inbox champion of the world. I pitty [sic] the fool who resists. Thanks for your support. It really does matter and we appreciate it.